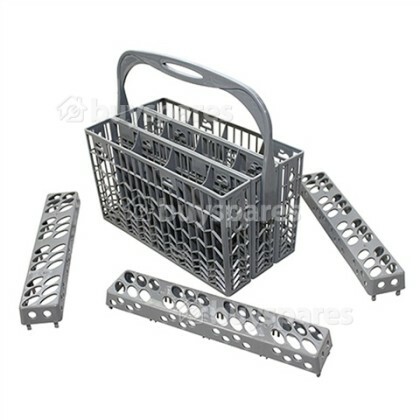 This Universal Premium Cutlery Basket can be used in full-size and slimline dishwashers. 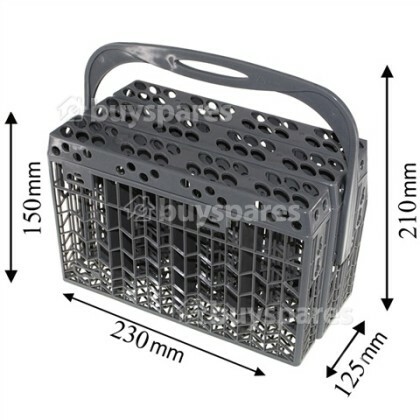 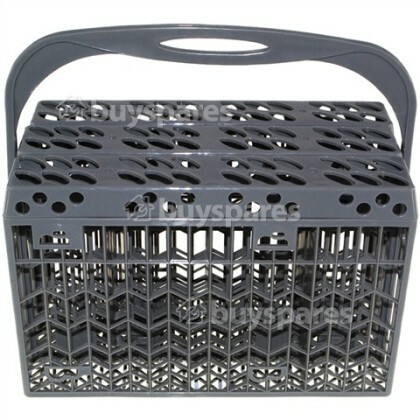 Dishwasher cutlery baskets are designed for holding knives, forks, spoons and other kitchen utensils. 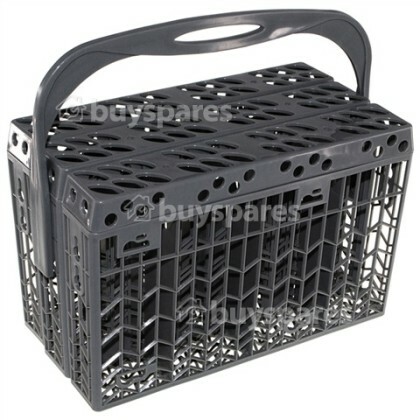 It has a total of 12 single compartments that are detachable so it can be split into one, two or three rows for cutlery. 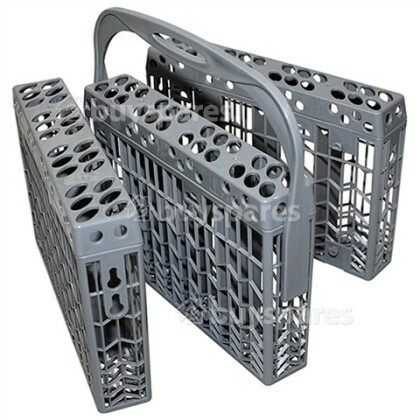 The detachable handle can be attached to either row making it easy to create extra space in the dishwasher and the guides for the cutlery are also detachable to allow for wider handles to fit.